First images of the new 2013 Honda Accord have been revealed amid much excitement. For years the Accord has been a top seller – and Accord, along with the Civic, has paved HONDA’s road to success in the United States. This model is not the successor of the Accord currently available in South Africa and Europe – and marketed in the USA as the Acura TSX. It is however a clear indication of the direction the next ‘’South African’’ or Accord Euro could take. The 2013 Honda Accord delivers space, sophistication, efficiency and technology and will undoubtedly excite the South African sedan enthusiast. It has also been described by American HONDA as ‘’the most sculptured Accord’’ yet! The new Honda Accord concept was revealed at the 2012 Detroit Motor Show to much anticipation, and final images have just been released. The 2013 Accord boasts increased space both within the passenger cabin and storage space. This is despite shorter exterior lengths making for slicker driving and easier parking. The 2013 Honda Accord has also been given a beautiful new sleek exterior design, with flowing sidelines, a powerful athletic rear, and a striking new grille, making it a sophisticated, head-turning saloon. The new Honda Accord will be available in the USA from September this year in Sedan and Coupe models, and the Accord Hybrid should return, as well as a plug-in Hybrid version. Expect to see the new 2.4 litre 4 cylinder engine, delivering around 135kW, as well as a range topping 3.5 litre V6 mated to a brand new 6 speed automatic transmission. 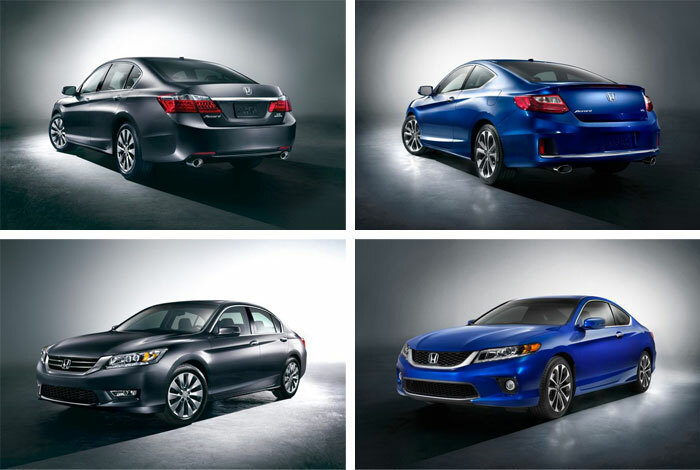 The 2013 Accord will be equipped with an amazing array of the latest technologies including HondaLink – a cloud-based Bluetooth system, internet radio, streaming audio, SMS, Lane Departure Warning, Forward Collision Warning and blind spot display! Watch this space for more detail – expected around the first week of September.